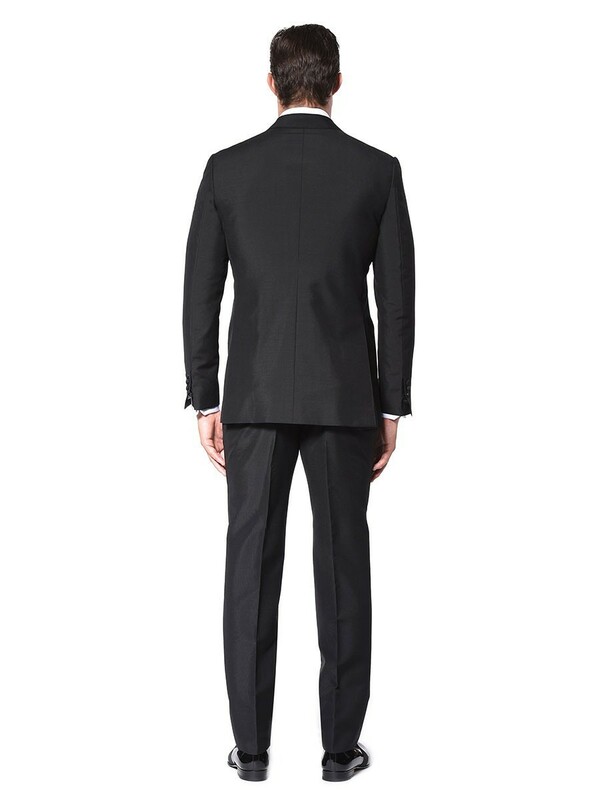 Distinguish yourself. 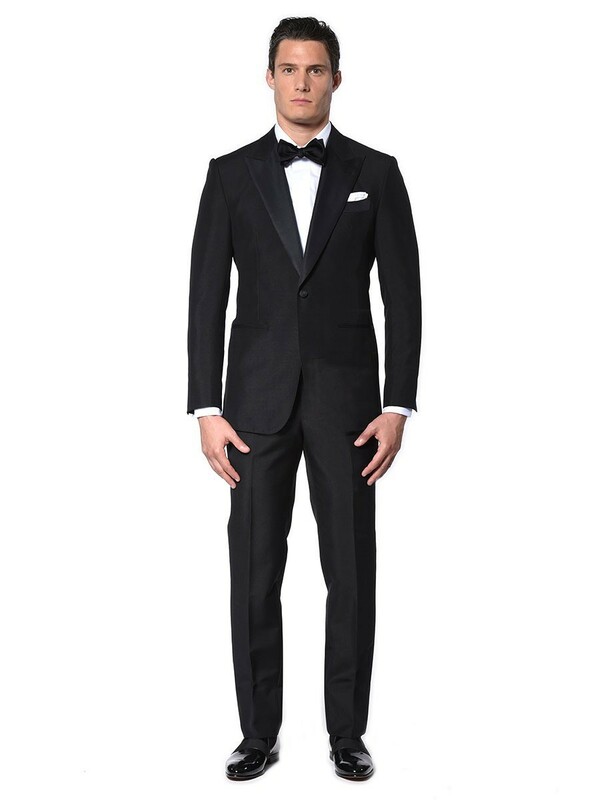 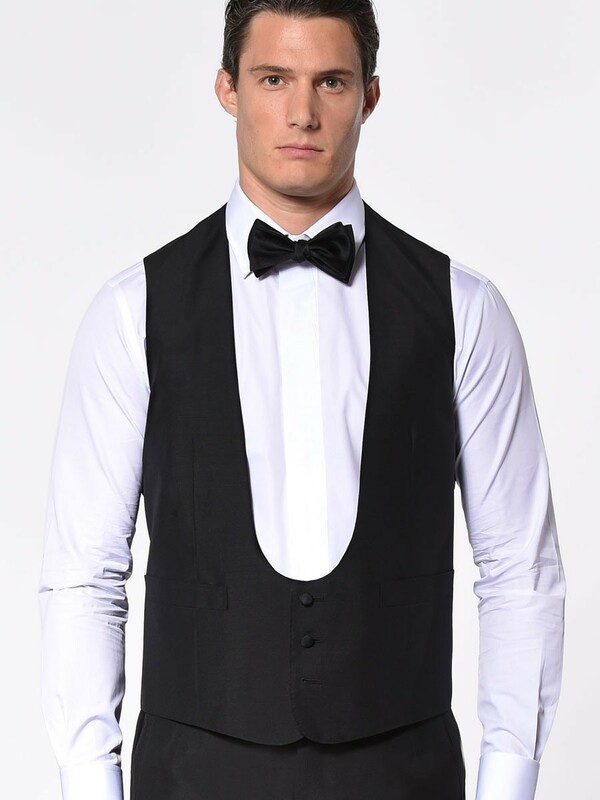 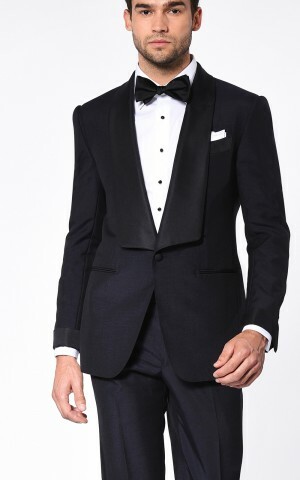 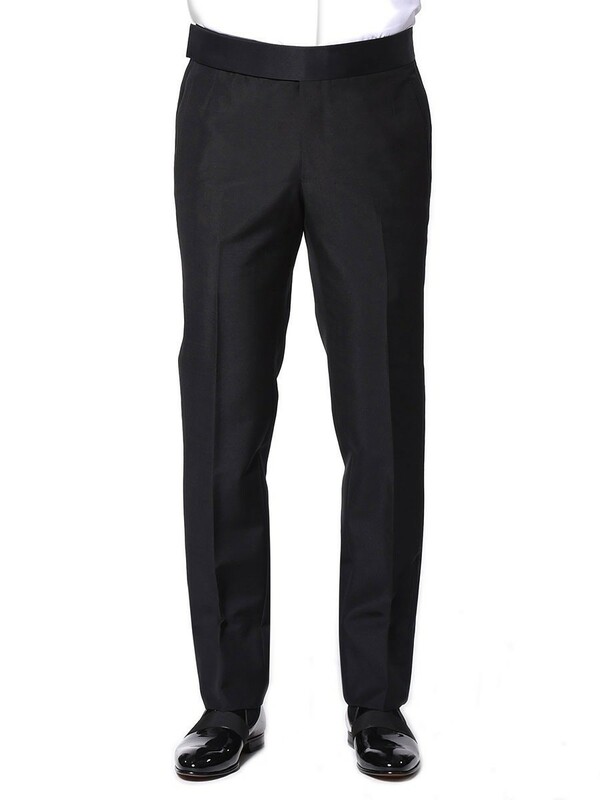 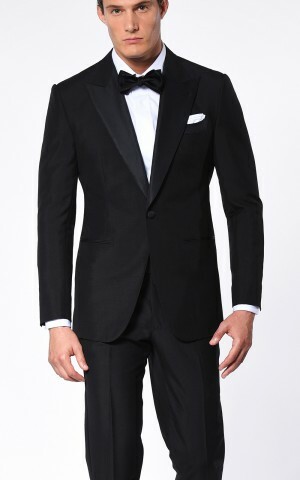 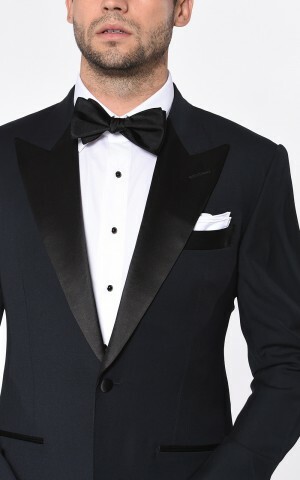 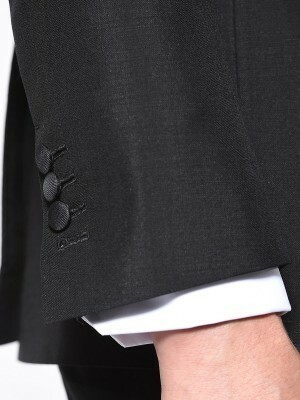 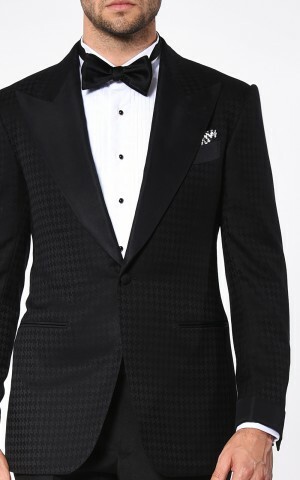 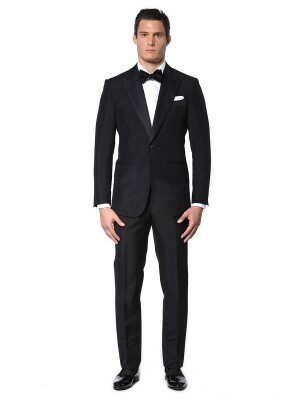 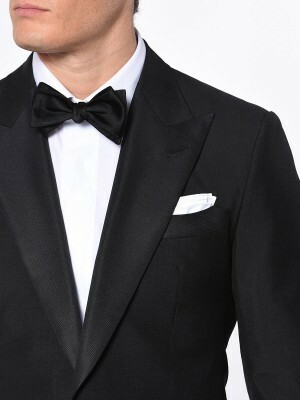 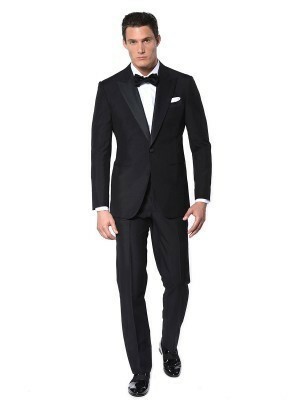 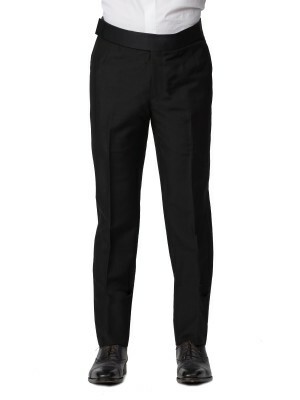 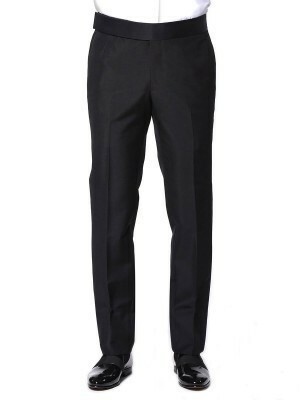 This Classic 1-button black mohair tuxedo features a grosgrain peak lapel and besom pockets. 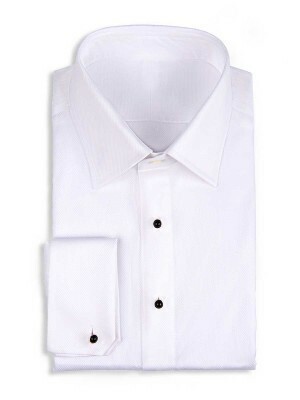 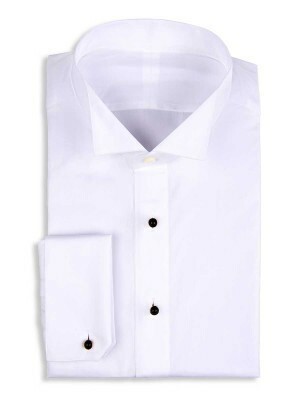 It's made of super brio wool and mohair from Dormeuil and destined to make memories.